A holistic marketing strategy and platform has ensured the income of many brands from their products and kept their audiences updated every single day. Social media has established its credibility in the field of marketing for a particular business’ brand. Notably, Facebook became an on-demand strategy. Many providers will claim that they will use Facebook because it is the most effective among all social media networks. However, gauging a brand’s market and objectives and pairing it with different services that are backed up by good results will enable anyone to achieve the best results for their business. A technique a company should utilise is the wide variety of features of Facebook marketing especially in targeting a specific group of audience. Before doing this, the business should’ve done their research about their audience and formed their brand persona. This data will help in targeting the audience the company wants to see. Avoid going very specific in describing a set of an audience because it can go against the strategy. Monitoring the audience research tool to make sure that the company can avoid having the smallest variety of audience wherein a little number of people can see the product. This facebook advertising guide can help you reach the appropriate audience for businesses on Facebook. Ads should match to its objectives. It means that an advertisement which is made to increase sales should be different from an ad that is made to show information about the company. For example, if a company is using a pay-per-click marketing strategy, they should target a specific audience rather than a broad one since they would want the targeted people to purchase a particular product from the company itself. Their primary goal is to reach the audience they are targeting, and at the same time, they will convert to customers, instead of just making them aware of their brand. Everything will depend on the ad’s objective. Different objectives call for different designs, call to actions, messages, and many more. If the objectives are different, it should not look the same because different budgets will allocate for this. Bonus tip: avoid getting right-hand side ads for the company. These ads have the image of a spam ad. These will get fewer clicks even though it will give them incentives for impressions. They should pick the best ad that is available for the company. With the vast number of users of Facebook and different social media sites, there will be people who are the same as the target audience that is active online. Facebook can help connect these users to the business’ mailing list of customers. These are called a lookalike audience, and Facebook will create it. These audiences share the same demographics and characteristics from their original target audience. They will most likely be interested in their business since they have the same features as their existing customers. A company can start promoting content, brand, products, and services to the lookalike audience they have. They can choose the size of the lookalike audience; a larger one can increase their business’ reach but will compromise the similarity of their audience to their current customers. However, a smaller one can give them a group of more similar people to their original audience. Putting eye contact in a particular brand’s image content or other visual content will help them grab the attention of their customers. It is natural for people to be piqued their attention by eye contact from another person to a specific object. If a person looks up, another person will be most likely to look at it also. A brand can capitalise on this opportunity in directing its audience’s attention to a particular part of the Facebook ad. For example, a brand has their main message on top of the ad, and they may put a person looking upwards to direct attention to the message of the ad. This social media cheat sheet contains different unique techniques in marketing to help you create different visual content in social media. Facebook Pixels is one of the numerous useful business tools on Facebook. It is an analytics tool that gives the data about the effectiveness and efficiency of a brand’s ad by studying the different actions users do when on their website. A business can see if the users are visiting their page, views their videos, orders their products, and clicks their call-to-action button. The information will be stored in their Pixel data by Facebook, and they can use it in the future redirection of ads, build custom conversions, or enhance a specific campaign for their social media. Advanced business analytics and insights are also available in their Pixel data, such as peak times, peak days, orders every weekday and weekend can also help them re-strategise for their business. That can lead to improved conversion rates wherein their reach will grow, and a new set of an audience will tap. 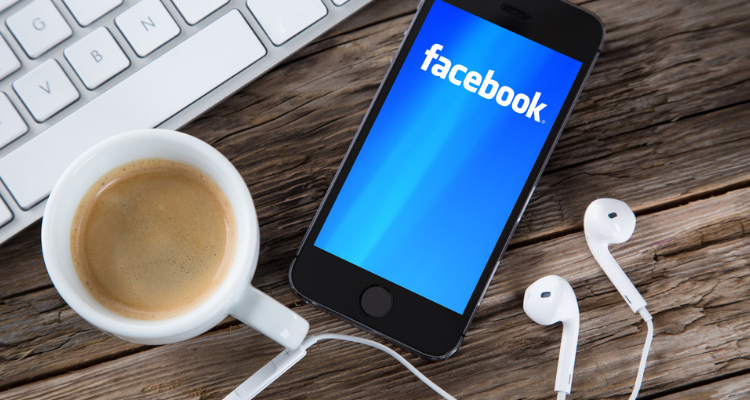 The benefits that come with advertising on Facebook is continually growing. From exploring virtual reality to integrating with Instagram and to a possible future partnership with WhatsApp, it is almost sure that Facebook is not going anywhere and will continue to be more significant than it is. The need to create even better ads on Facebook has increased. However, whether a brand is advertising on Facebook or not, they should prioritise their advertising efforts and make sure they’re smartly and creatively made to keep the brand’s boat afloat. Violet Smith is a marketing communication specialist and a part-time blogger who loves shopping. Her goal is to drive the awareness to people through her writings.